MAC Smooches for your valentine! 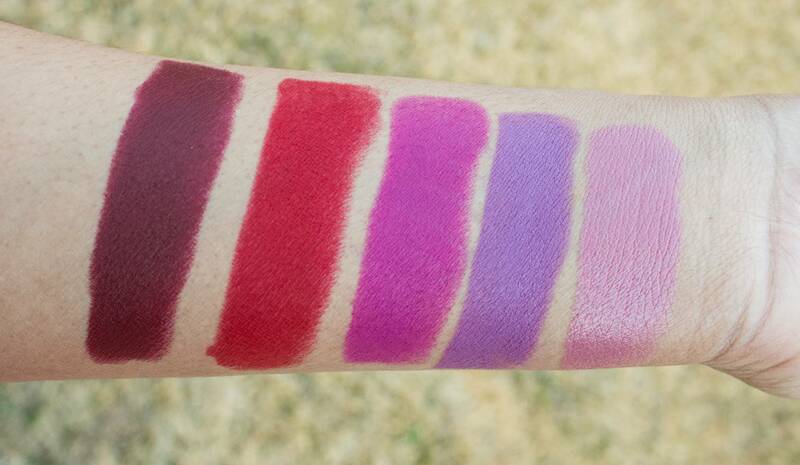 Sultry, flirty, and luscious shades for your pout. Perfect your Valentine’s (or Galentine’s or Singles’ Awareness) Day look with some of these handpicked MAC Cosmetics shades. I definitely started my journey into makeup as a MAC girl. Ever since my aunt first took me to the MAC makeup counter, I have been hooked! These shades still have my heart after testing and trying out many different brands, formulas, and shades. 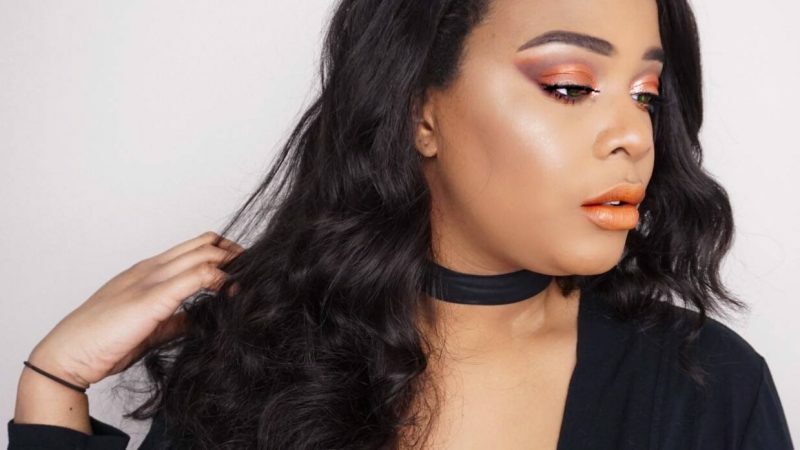 To me, MAC has the widest selection of shades and formulas and they have tried and true shades that work on a variety of skin tones. I love and own a large section of MAC’s matte shades; although, the cremesheens have been slipping into my collection as of late. Each comes in a sleek black bullet and features a pleasant vanilla-y scent. Diva – a deep, sultry wine red. It’s matte formula really sets it apart from the dupes. It applies very easily and opaque on the lips. More of a stunning romance look while the others are flirty and fun. This an elegant shade that can pull together an entire look effortlessly. Ruby Woo – bright, true red. My favorite red out of my entire lipstick collection. It really is the perfect shade of red! This formula is more drying than the others in the MAC matte range, but once it sets it’s there to stay. This shade is a staple for any MAC collector. Flat Out Fabulous – flirty, fuchsia pink. Classic Valentine’s Day pink lipstick. This is a retro matte formula so it appears fully matte on the lips. Perfect if you want a shade a bit more rich than the tradition bright pink lipstick because of its deeper blue hues. Men Love Mystery – luscious, deep lavender. This is new one for me. I picked this shade because it is interesting and definitely attracts the eyes. This shade is very close to MAC Up the Amp but with a matte finish. Be careful because depending on your skin tone this can pull either pink or purple. With the right coloring, this color can be showstopping…just what you would want on Valentine’s Day. Hot Gossip – glossy, baby pink. This cremesheen is great for a more understated, “my lips are just plump and juicy” look as opposed to the bold colors of the other shades. If you prefer to have less emphasis on the lips but still want them to look full and fresh I recommend this shade. 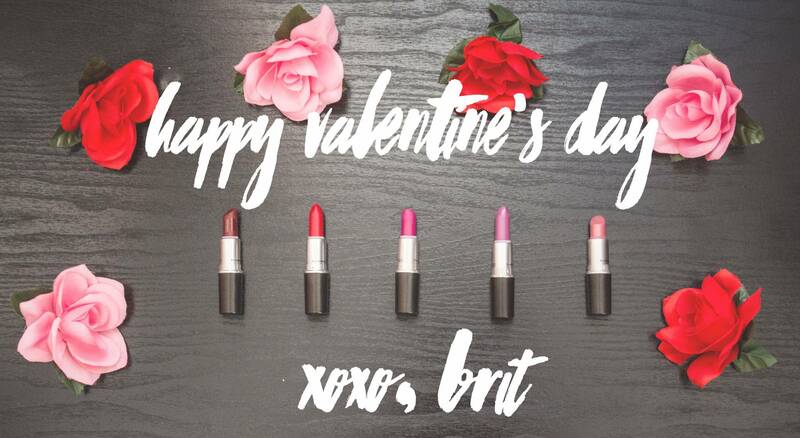 What lip colors make your list for a perfect Valentine’s Day pout? Diva and Ruby Woo are right up my alley! Diva and Ruby Woo are probably my two most worn! They go with everything. Reaaally lovely picks! Sadly I don’t own any of these but wow Ruby woo looks fantastic! I absolutely live for “Flat Out Fabulous” and “Men love Mystery”. All of these colors are perfect not only for Valentine’s Day, but any day. Great post. Omg so jealous of your stash! Men Love Mystery looks so intriguing, would love to see it on you!